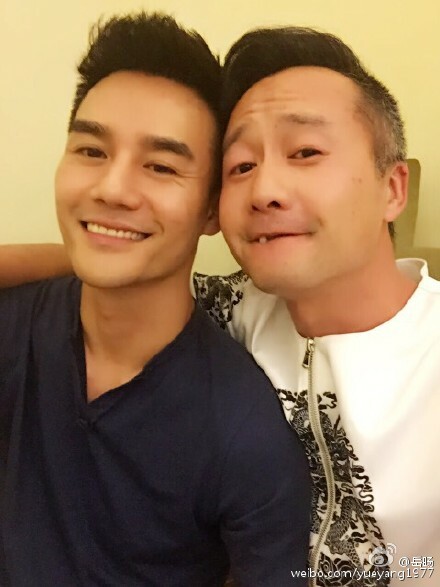 There are no photos of Jin Dong, so Wang Kai is subbing in for him. Dr. Zhao (Wang Kai) cures people with his smile. Line up for your daily dose. （￣ヘ￣）Why would they cast Zu Feng as a guy who’s suppose to be old and ugly? There are too many animal parts in this outfit that I don’t know where to begin. Yang Zi still looks 12 and she’s not even the youngest cast member. Jiang Xin’s outfits for this drama might be one of my favorites this year. Remember the adorable Liang Zhongchun (Yue Yang) from The Disguiser? He put this photo up on Weibo, saying he’s current guest starring in it, too! This is his fourth drama with Wang Kai and fourth drama with Jin Dong. Lucky man. This entry was posted in Mainland China, Photoshoot and tagged Jiang Xin, Jin Dong, Kong Sheng, Liu Tao, Ode to Joy, Qiao Xin, Wang Kai, Wang Ziwen, Yang Zi, Zhang Lu, Zu Feng by idarklight. Bookmark the permalink. After The Disguiser and Nirvana in Fire, I kind of almost expect to be disappointed by this series. I don’t like reality shows, especially those that revolve around pairings/romance…. Oh i love the fashion. I’m looking forward to this. I do agreed with you about the way Shandong TV treats it female characters. I try to think of all the female characters in their dramas and their dialogue and found that none of their production passed the Bechdel Test. Of course this is not the litmus test for all kind of productions but with such a talented crew there is a higher expectation in developing characters that’s not stereotypical. Female characters shouldn’t just be mom/daughter/sister/love interest. Where is their agenda? their strength? their weakness? Ming Tai’s fiance (I could see a lot potential of her as a character with her own path and belief than just a footnote) and Ming Jin could’ve been more develop. Nihuang should have less screen time imo since all of them is her playing love interest. Does this mean we finally get to see Wang Kai smile? He actually has a really cute smile but his roles are always super serious. I get the feeling that Officer Li might smile a lot? On the positive side, Prince Jing smiled several times in the last few days <3 He smiled when he was eating food, he smiled after he was told he could visit his mom whenever, he smiled to Feiliu when he was asking about the poisonous snake, and he smiled when finally got the job to take care of disaster relief. I want Prince Jing to be successful if only because it means he smiles more. I have been waiting for a modern drama that’s not all cat fights. But I have to disagree with you on Shandong’s ability to write female leads. I found Nirvana in Fire to have the strongest female leads I’ve seen in a while. Although that’s not saying much considering most of the other female leads cause you to lose brain cells. Liu Tao and Liu Min Tao were capable, intelligent women, even if they cared for men. I also think strong characters are ones who reflect reality and the strong, wholly independent woman or man does not exist in reality in the same way that none of the men would be where they were without the men and women who rallied to help. I am with Windy, Nirvana has the strongest female characters among most recent Asian dramas. They have brains and operate on logic. My personal favorite is actually not Lady Nihuang, but Xia Dong. This said, I very much welcome dramas that show strong bond and mutual support between the female characters, and I have much hope that Shandong can do it right. Let’s stop the trope where strong and intelligent female characters are villainous and the heroines are clingy, dumb, and always misunderstand. I agree that many of the women in here and in The Disguiser and elsewhere by Shandong are capable, but I think we’re using the words strong differently. I want a woman like that of To Oak, yet these women (except maybe Wang Ou’s character) are the like spring, who is wonderful and bring comfort and love, and the sun, who is strong and brings support and energy. But I want an oak who can stand on her own, who does what she does not just for the men she loves, but also what she (and maybe he) stands for. I think characters like Liu Mintao’s are great, and I don’t think she’s a lesser human for doing what she does out of love for her son, but when most female characters are constrained in those type of roles while males are not, it becomes an issue. Although to be fair to Shandong, I’m watching 知青 by Shandong right now, and so far both of the female leads there are pretty independent characters (one of whom is played by the actress who plays Xia Dong). I agree with Windy as well. We also need to take the background of the story into consideration. Given the restriction on women in that era, I think Xia Dong and Ni Huang are pretty amazing female characters. Ni Huang loves Lin Shu, but she doesn’t live her life just for him. Her brother and her people in Yunnan are important to her. I think it’s understandable for her to want to hold onto him since she’s been given a second chance with him. Xia Dong wants justice for her husband, but justice is not restricted only to her loved ones. It was refreshing that she didn’t go on a rampage after finding out how her husband actually died. She stayed true to her character and was level-headed and began investigating it. I would also like to throw in the character XiaoXiao (played by Yangzi) from Battle of Changsha; also by Shandong TV. She was resourceful, brave, and independent, even when she was just a girl. The thing she does and live for was not for her love interest, not until he became family. Some of her strongest performances came when she refused to followed what the men in her life suggested was best for her (refer to ep 20). She was her own pathfinder. But I do not argue that many series portray females the way you have suggested. I’ve only seen parts of Battle of Changsha, but I agree that Xiaoxiao was a good character. I also liked both of the female leads in Zhi Qing, and several of the female leads in Chuang Guandong. Now that I think about it, maybe it’s just the last three dramas I’ve seen with them? I’ve always liked Xia Dong, and I like Prince Jing’s mom and the Princess. I liked Nihuang a lot in the book, but I’m slightly annoyed that the added scenes for her are frequently out of character. I actually like Banruo more than MCS sometimes, since really they’re looking for the same thing (revenge), except he’s supporting a better prince than she is. The issue is not that those characters are not good, but that they are a part of a systematic lack of female characters who are not like them. In particular, I’m personally a sucker for idealists like MIng Lou/Ming Cheng/Prince Jing/Cui Zhongshi and would really like to see more female roles like them. 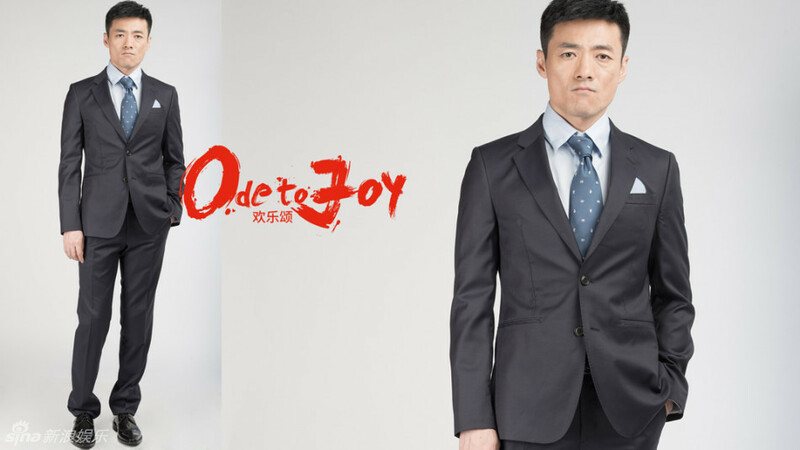 Especially given how great Shandong TV has been in portraying a number of complex and diverse men, it’s unfortunate the range of motivations for the women tend to be less dimensional. Also, just FYI, I actually don’t think any of the characters in NIF are that complex or extremely well-developed compared to say, All Quiet in Peking, so none of what I’m saying is really a criticism on NIF or Hai Yan in particular. In fact, I’m very thankful they took out the part where Prince Jing is opposed to Nihuang getting married even though MCS was already dead, because there goes my only mark against Prince Jing. Lol I think the author added all those scenes with MCS and Nihuang to make up for how much abuse MCS suffered in the books.